After looking at all the stalls at the Expo, I felt there are many things which will be very useful for Pune City’s traffic. I found a VMS system mounted on a vehicle which we would like to introduce at a few places in Pune, especially during the naka-bandhi. 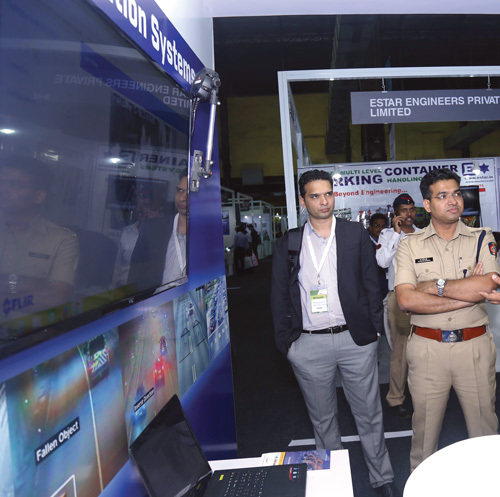 Dr Pravin Mundhe, Deputy Commissioner of Police – Traffic, Pune intends to introduce to the City a VMS system mounted on portable trucks that he saw at TrafficInfraTech Expo. He also plans to eliminate human intervention in issuing challans, just like Hyderabad City did, and have an ATCC in Pune. This is your first visit to Expo. Did you find it useful? Due to the increasing population in Pune since the last decade, quite a few challenges have sprung up. What kind of technology have you deployed? Considering the increasing population of vehicles in Pune, some system certainly has to be put in place. At this moment, we are focusing on the Smart City mission and a few traffic signals. Currently, these signals are isolated and connected manually, not through technology. We set time for the signals based on our experience. We need Intelligent Systems in the form of ATCC which can work far more efficiently than the existing signals so that our staff does not have to change the signal cycles for each of the roads manually. In fact, even the traffic police do not have experts as such. We also do not have the count on the basis of which we can change the setting on a day-to-day basis. The system is likely to be procured under the Smart City mission. Whenever it comes in place, it will be very helpful for the police. The enforcement by the traffic police suffers at times owing to regular transfers. By the time a traffic police officer gains knowledge on the traffic technologies and trends, he might be transferred to another department. So do you feel the need for some orientation for traffic police officers given the burgeoning population and the challenges we are facing all over the world? Traffic is one area where the police officials do not get much training. Yes, there can be better training and better technology orientation. Expos like TrafficInfraTech Expo are of great help. At least we are exposed to newer technology at such expos. You mean expos like this prove to be a good platform for picking up new technology from across the world? Participating in this type of expos definitely helps us by introducing us to new technology from around the world. Only when we are exposed to such technologies can we ask our higher authorities or the government to procure them and the new systems. TrafficInfraTech expo has definitely given us an insight into new technology which we can introduce in the future. 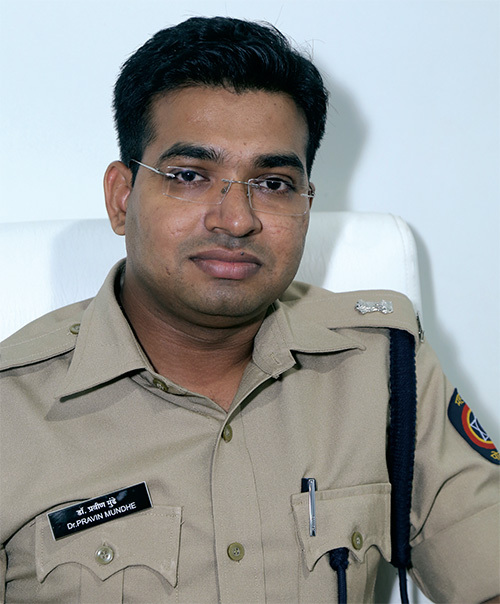 Can you cite some big achievements of Pune Traffic Police that you are proud of? In the last two-three years, we have seen a decrease in the number of drunken driving cases which shows that the surveillance on the roads has increased manifold. We have cracked down on these cases to bring down the fatalities on the roads. So, I can say that we have managed to control the drunken driving cases in Pune city. Moreover, Pune City has more than 1200 cameras through which we are able to send challans to the traffic offenders at their homes. This drive was initiated a year and a half ago. We are planning to take this initiative a step ahead by introducing e-challans, which will eliminate human intervention totally. Instead of the police handing over the challan to the offender, it will be sent to his home by post. The police and public interface should be done away with completely like Hyderabad has managed to do. We are working in that direction. What immediate step are you planning to take? We are looking forward to having ATCC and at least five-ten of portable truck-mounted VMS. Later, we may procure many more systems.